Sell Apple TV 1st Gen | How Much is My Apple TV 1st Gen Worth? Select the information above in order to receive an accurate quote for the Apple TV 1st Gen you want to sell. Click sell item if you agree with the price that is displayed. GreenBuyback purchases cell phones, tablets, and laptops at the highest prices in the industry! GreenBuyback pays cash for your old cell phones, tablets, and laptops. When you sell your cell phone, tablet, or laptop to GreenBuyback you will never have to pay shipping. GreenBuyback is dedicated to maximizing the cash back to our customers. Sell your Apple TV 1st Gen for cash today! 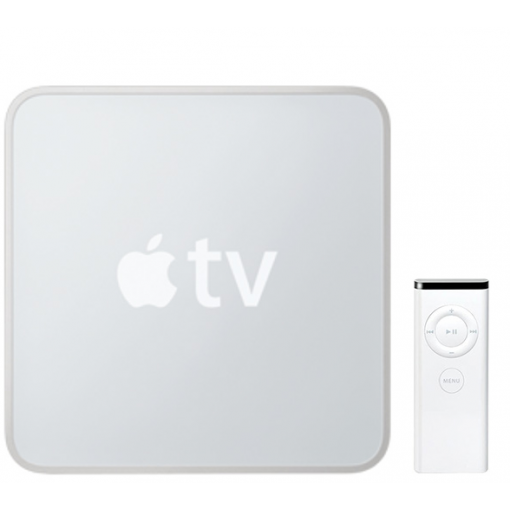 Apple first debuted their first generation digital media player and a microconsole Apple TV in 2007. It is designed as a small set-top box which can easily stream sources to your television. Utilizing Wi-Fi capabilities, you are also able to stream digital content from iOS apps, as well as AirPlay from Apple devices steamed straight to your television. The first generation Apple TV has a 40GB hard disk, but quickly upgraded to an 160GB hard disk in the same year. Selling your Apple TV 1st Gen is so easy with GreenBuyback; send your Apple TV 1st Gen to GreenBuyback with free shipping and you’ll get cash sent to you fast! The Apple TV 1st Gen can be used with the Apple TV remote app for iPhones as well. However, Apple discontinued steaming from the first gen Apple TV in 2015. GreenBuyback will buy your Apple TV 1st Gen in any condition, even broken. Simply head to GreenBuyback to get a quote, send your Apple TV 1st Gen in, and get cash quick!